I didn’t know “shibui-jiru” before I got married with my husband from Okinoerabu, a southern island in Japan.”Shibui” means winter melon in the dialect of his island, and “jiru” means soup. 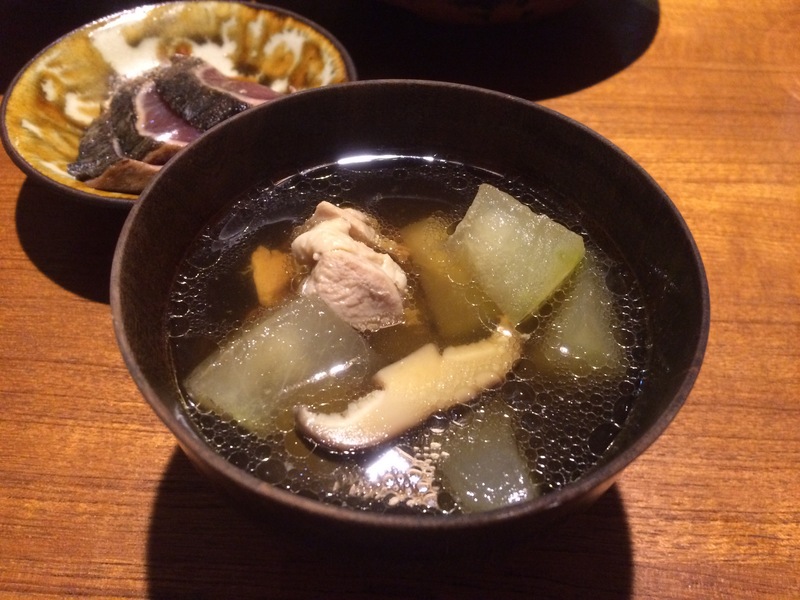 Soup using winter melon is quite popular in Amami and Okinawa islands. Since I met this soup, I came to make it every summer. Indeed, winter melon is effective to cool down the body heat. Soak dried shiitake mushrooms until soft and slice them. Do not throw away the water used to soften the mushrooms, which will be added in the pot later. Peel and cut winter melon. Put all ingredients in the pot. Add water and boil until they become soft. Flavor with sake, mirin, soy sauce and salt.